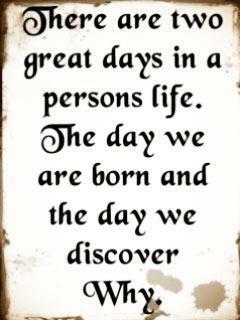 There are two great days in a persons life. The day we are born and the day we discover why. © 2019 friendship-quotes.info - All rights reserved.